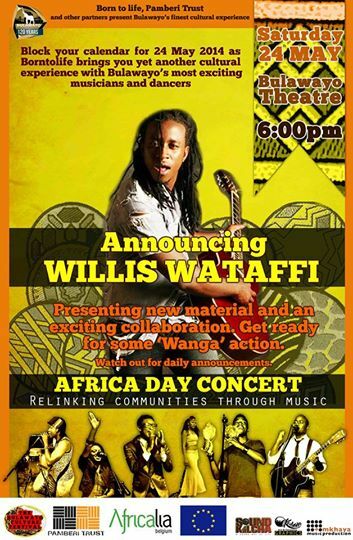 AFRICA DAY CONCERT, 24MAY2014, 6PM, BULAWAYO THEATRE. Announcing main act WILLIS WATAFFI, in a special collaboration and presenting new material. Get ready to dance to sing ‘Wanga’.